The new Yumi range is all about eye-catching floral prints, vintage 60's cut dresses and full of ice cream hues and colour blocking designs. They are just perfect for these upcoming warmer months. 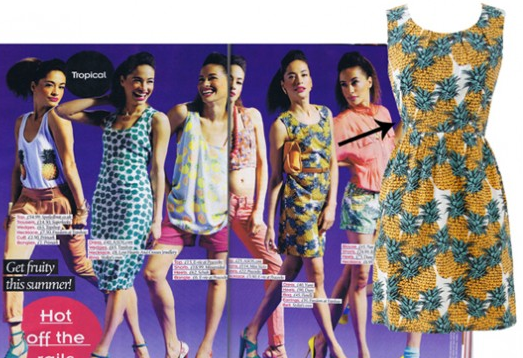 The Pineapple print dress is bang on trend and has already been a hit recently. 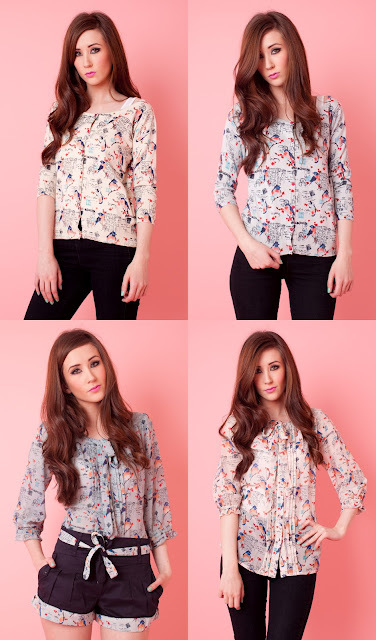 Fruit print is the big thing of 2012 and has already been seen on celebs like Eliza Doolittle and Katy Perry. Postcard and bird print cardigans and shirts. Bright print cardigans - perfect paired with plain dresses when it's still a little chilly! Shorts and skirt - the print shorts look amazing with the bird print blouse!